Blog | January 2018 | Home Solar Savings Make for a Happier New Year! Home Solar Savings Make for a Happier New Year! We recently asked some of our home solar customers to share with us on Facebook how much money they saved with SunPower® solar in 2017; how much energy they produced; and how much CO2 they avoided. 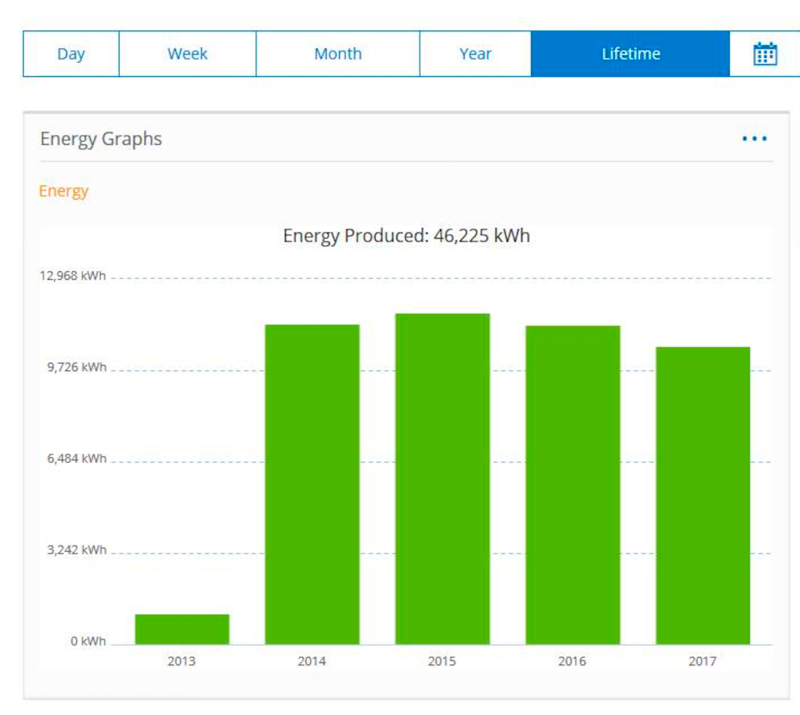 Such information is easily accessible thanks to SunPower’s monitoring app, which customers can access on any smart device such as a cell phone or laptop. Our EnergyLink® monitoring system shows how much solar energy is being produced, how much electricity is generated by their solar system versus the grid and the lifetime electric bill savings. "We produced approximately 1,300 (kilowatt hours) more than we used so far this year." — Gregory L.
"The $$ savings are great! 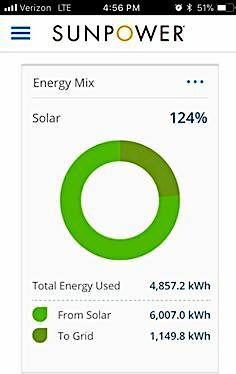 Most proud of the positive environmental effects my 3-year old, 30-panel SunPower system has produced!" — Rick M.
"My favorite stat is going to be the check I’m going to receive from the electric company in January..." — Douglas C.
"Love all of it — making energy, saving money, and reducing our carbon footprint!" — Yolanda B. "I’m producing power for the first time, and it feels good." — Bryan F.
Thank you to all our customers who helped us change how our world is powered last year, and here's to making 2018 an even more stellar solar year! To read all of our customers' comments, visit our Facebook page. To find out how much you could save on solar, use our savings calculator. 2Customer savings vary depending upon a number of factors including (but not limited to) the following: equipment used, system size, system orientation and shading, insolation available, applicability utility rates and rate structure, as well as customer’s eligibility for rebates, incentives, and net-metering or similar programs (the availability of which may differ for each customer).